Russell Mathew is a Partner at Hemson with 30 years of professional planning experience. He is the managing Partner of Hemson’s planning practice and is widely known for his expertise in the areas of demographic and economic forecasting and land economics. Along with developing forecasting methods that are used by numerous municipalities and regions in Ontario, he has developed a range of skills in economic development-related studies, strategic planning, growth management, land use planning, and financial modeling. Russell received his Bachelor of Science in Geography and Mathematics from the University of Alberta and his Master of Science in Planning from the University of Toronto. He is a Registered Professional Planner, a member of the Ontario Association of Land Economists and a member of the Royal Institution of Chartered Surveyors. Russell regularly guest lectures at York and Ryerson Universities. He is also a member of the Board of Directors of the Land Economics Foundation and of the Simcoe Chapter of Lambda Alpha International. Russell is an avid traveller and has visited India, Vietnam, South Africa, Ethiopia, Brazil, Laos, Cambodia, Argentina and China as well as more typical destinations. He lives in the Trinty-Bellwoods community in downtown Toronto and serves on the board of directors of one of Toronto’s major professional theatre companies. Craig Binning is a Partner at Hemson and leads the firm’s municipal finance practice. His expertise is in public sector economic and financial impact modeling, cost/benefit assessment, user fee calculation, rate setting, local government policy, land use economics, and development charges. Craig received his Bachelor of Arts in Economics from Queen’s University and his Master of Philosophy in Political Economics from the University of Glasgow. After working as an economist in the United Kingdom, Craig returned to Toronto in 1990. He is a certified Professional Land Economist and is qualified as an expert witness before the Ontario Municipal Board. 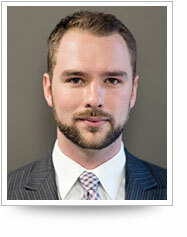 Craig currently teaches the municipal finance course in the Planning Program at Ryerson University. Craig has also been a guest speaker at numerous conferences in Canada and the United States. Craig lives in Roncesvalles Village with his wife and two daughters when they are not at university or travelling. Craig is an avid urban farmer and does his bit to support the local food movement. Craig spends his summer holidays at a cottage in Simcoe County. 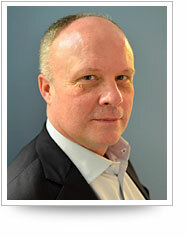 John Hughes is a founding Partner of Hemson with more than 40 years of professional experience. He directs the firm’s real estate advisory practice which provides a full range of services to both public and private sector clients. Property assessment and municipal tax and taxation policy play a large role in the projects John undertakes. John is a Chartered Surveyor and undertook his professional training at the College of Estate Management at the University of London, England. As well as being a Fellow of the Royal Institution of Chartered Surveyors, John is currently the Global President of RICS, 2017-2018. A long-time resident of Toronto, John sails and travels when he is not working. 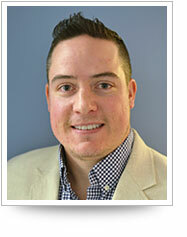 Andrew Mirabella joined the municipal finance practice at Hemson as a Consultant in the summer of 2009. He has been involved in projects dealing with setting water and wastewater rates and preparing development charges background studies for various municipalities in Ontario. 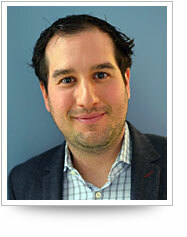 Andrew received his Bachelor of Urban and Regional Planning from Ryerson University. Andrew lives in the City of Vaughan and spends his free time playing golf, skiing, and traveling. 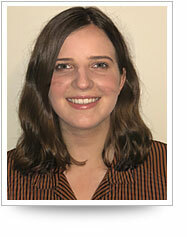 Lara Nelson joined the planning practice at Hemson as a Consultant in the beginning of 2012. Her main areas of expertise are in regional planning, growth management strategy and land needs assessment. 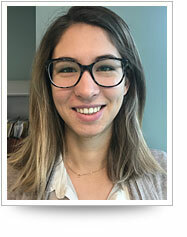 Lara’s background includes an internship with the Canadian Urban Institute, involvement in growth management projects for the Province of Ontario and various municipal governments, and research positions with Ryerson University. Lara received a Bachelor of Arts from the University of Toronto, specializing in Environment and Resource Management, and a Bachelor of Urban and Regional Planning from Ryerson. Lara is a Registered Professional Planner (RPP). Lara lives in North Toronto with her husband and son. She enjoys cooking meals and playing tennis with her family, exploring dog parks with their beagle and travelling. Her favourite getaways have been summer trips to Prince Edward Island and winter adventures in Thailand and New Zealand. 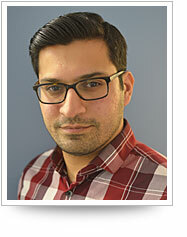 Yousaf Shah joined Hemson in the fall of 2012 as a Consultant. With a background in Construction Management and Urban Planning, Yousaf will support the team at Hemson in demographic forecasting and planning advisory services. His experience includes positions in planning with the City of Ottawa, development policy with the United Nations in Pakistan, and in real estate consulting in the United States. Yousaf has published a paper comparing the performance of urban transportation systems of 63 cities around the world. Yousaf has a Master of Urban Planning from McGill University, specializing in Transportation Planning, and a Bachelor of Science in Construction Management from Pratt Institute in New York City. He lived in seven countries before arriving in Canada and has decided to call Toronto home. Yousaf enjoys reading, drawing, cooking for friends, and trying out new cuisines. 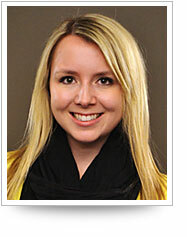 Jaclyn Hall joined Hemson in the spring of 2014 as a Consultant. Working primarily on the municipal finance team, her main area of expertise is development charge studies, including policy related research and assisting with Ontario Municipal Board appeals. Jaclyn also assists on many of the firms’ planning projects, including growth management strategy, planning policy implementation and land needs assessment. Jaclyn received a degree in Urban and Regional Planning, graduating with honours from Ryerson University. Her prior work experience includes planning related positions in both the private and public sectors, including a development planner internship with the TDL Group Corporation and an environmental planning internship with the City of Toronto. 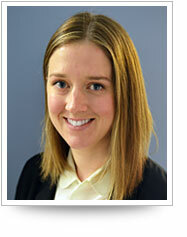 Jaclyn is a Registered Professional Planner (RPP). When she has the opportunity, Jaclyn enjoys travelling and exploring new cities. During the summer, she likes to spend her time on Lake Erie at her family’s cottage with her family, friends and dogs. Adam Mattinson joined Hemson’s planning practice in the spring of 2015 as a Consultant. His areas of expertise include planning policy, economic impact assessment and the application of land value capture tools. Adam’s background includes municipal planning with the City of Coquitlam, British Columbia and involvement in projects for the Ontario Growth Secretariat and the Toronto Lands Corporation. Adam graduated from the Masters program at Ryerson University’s School of Urban and Regional Planning where he was awarded the Ryerson Gold Medal for the Faculty of Community Services. His research focused on density bonus agreements and urban development. 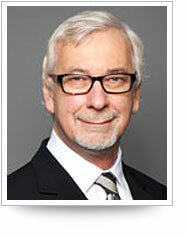 He also holds a Bachelors degree in Political Science from the University of British Columbia with a Minor in Commerce. A native of Vancouver, British Columbia, Adam travelled to Ontario for his planning education and ended up calling Toronto his home. He is an avid outdoorsman and hockey fan who enjoys spending his free time exploring the City’s many unique neighbourhoods, hunting down new culinary experiences and searching for that perfect patio in the summer. Christopher Balette joined Hemson as a Consultant in the Fall of 2015. 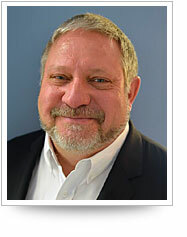 He is a member of the firm’s municipal finance practice. Christopher specializes in long range financial planning and fiscal impact analysis with an emphasis on forecast model development. Christopher graduated from the University of Toronto in 2014 with an Honours Bachelor of Science in Statistics, Economics and Mathematics. 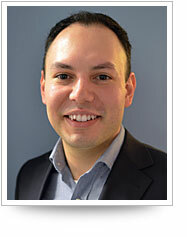 He has previously worked as a research assistant in economic development at the University of Toronto and was also an economic analyst for the Burlington Economic Development Corporation. Christopher lives in downtown Toronto. During his spare time, he enjoys training at the gym with friends and managing his hobby investment portfolio. Christopher is also a black belt in taekwondo and enjoys the fitness and mental benefits of the sport. Julia Cziraky joined Hemson’s municipal finance practice in early 2016. Prior to joining Hemson, Julia worked as a planning consultant on a variety of land use planning, community revitalization, economic development, and transit and infrastructure planning projects, primarily for municipal clients. Julia holds a Master of Planning specializing in both Land Use and Environmental Planning, and a Bachelor of Science in Environmental Biology, both from Queen’s University. 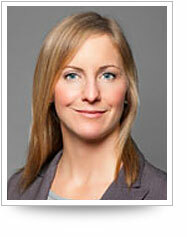 She is a member of the Ontario Professional Planners Institute and the Canadian Institute of Planners. Julia lives in the St. Lawrence Market area in downtown Toronto. In her free time, she enjoys exploring Toronto’s neighbourhoods by bike, skiing, and travelling to new places. Nataliya Kelbas joined Hemson in the Fall of 2017 as part of the firm’s municipal financial practice. Nataliya previously worked at York Region in development planning. Nataliya graduated from Ryerson University in 2016 with a Bachelor’s degree in Urban and Regional Planning. 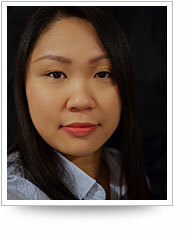 She is currently studying Project Management at Ryerson’s Chang School for Continued Education. Nataliya moved to Canada in 2002 from Ukraine and now lives in North York. Her interests include camping, yoga and travelling the world. Courtney King joined Hemson in the Spring of 2018 and is a member of the firm’s municipal finance practice. Her expertise is principally in the areas of development charges studies and municipal finance policy. Courtney graduated from the University of Toronto in 2016 with a Bachelor of Commerce, specializing in Finance and Economics. Courtney lives in downtown Toronto. In her free time she enjoys reading, exploring the City, as well as spending time with friends and her dog. Patrick Barbieri joined Hemson in 2006 as part of the firm’s vacancy verification practice. He now manages the team and is responsible of overseeing all aspects of the practice. Patrick also manages the firm’s data requirements and is responsible for the graphic components of the firms planning practice. On a day to day basis, Patrick deals with data from municipalities, Statistics Canada, CMHC and various other sources. Patrick completed the Real Property Assessment and Administration program at Seneca College. He is a member of the Institute of Municipal Assessors and plans to become a Professional Land Economist. Patrick and his wife Johanne have two sons (Charles and Maxwell) and live in Oakville. He commutes via Go Transit and occasionally in the warmer months by cycling. In his free time, Patrick enjoys taking his boys to the park, golfing and cycling. Patrick is a member of ‘Team Fox’ and ‘Bikes Battle Parkinson’s’. He has cycled around Lake Ontario in 2010, to New York from Toronto in 2011, to Boston from Montreal in 2012 and to Quebec City from St. John in 2015. Bo Zhou joined Hemson in 2009 as part of the firm's vacancy verification practice. She audits property tax rebate applications for vacant commercial and industrial buildings in the Toronto area. Bo ensures that the properties meet the eligibility criteria outlined in the City of Toronto Act through document review and physical site inspections. Bo is a graduate of York University and holds a B.A. in Public Policy and Management. Bo enjoys playing softball, so in the summer months, you will likely find her at the diamond doing her best impression of Josh Donaldson. Benjamin Ip joined Hemson in the spring of 2011. 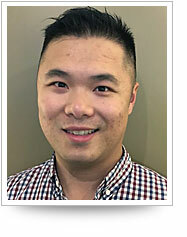 As part of the firm's vacancy verification team, Benjamin represents the City of Toronto in helping with the audit of vacancy applications submitted each year for a property tax rebate in regards to the City's commercial and industrial properties. Benjamin graduated from the University of Toronto in 2008 with an Honours Bachelor of Science in City Studies and Social Psychology. Prior to joining Hemson, he worked for the City of Markham as a recreation program supervisor and led hockey skills development programs for the Unionville Minor Hockey Association (UMHA). Benjamin lives in the City of Markham. During the summer months, he plays on multiple softball teams and competes in the National and Provincial tournaments. In the winter months, he enjoys playing hockey and skating with his family. William Kwan is the most recent addition to the vacancy verification team, joining in May 2016. He provides assistance for the City of Toronto to inspect, verify, and audit property tax rebate applications on commercial and industrial units throughout the GTA. William graduated out of Durham College with a diploma in Law & Security Administration in 2008; and he is continually pursuing his dream of becoming a police officer. Prior to working at Hemson, he worked at Toronto Pearson Airport for over 6 years with various roles such as commercial vehicle dispatcher, traffic enforcer, and commercial vehicle inspector. William enjoys staying active through playing sports throughout the year - such activities as softball, curling, golf, and even snowboarding. He loves traveling as much as he does sports and is always looking for his next destination.